I’m just recently home from a wonderful trip around the world. Of course, living in New Zealand means that if your itinerary takes you to Europe, it is easy to head there one way and back the other thus completing the round-the-world trip. We are exactly half way. In other words, we are the furthest one can be from Europe. However, round-the-world trips with a few stops here and there are not out of the reach of ordinary folk, as we prove, if you budget it in. And don’t drive expensive cars. What did I do when there? I will dribble out some of the highlights over the next little while on this blog. But on this one, I thought I’d tell you about what I was writing, and how, while away. We have two major destinations when we take these long trips (avoiding the New Zealand attempt at a winter…) – we go to our remote cottage in the wilds of Canada after travelling to Surrey in England to visit my father-in-law. He turned 93 when we were there, still lives independently and still does the Times crossword, the su doku and any other mind-games published in that venerable newspaper. He still gardens and sings in the church choir. He’s our model of how we all want to be when we’re over 90. While there, my husband and his father do lots of father-son things (like sharing the crossword and tackling yearly jobs like pruning the wisteria) leaving me free to slip upstairs to the loft where I have a little office at the top of the house. I set up my laptop in front of a large west-facing window with a view from three stories high. 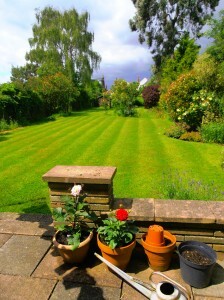 I can see my father-in-law’s deep back garden with its little orchard, its wilderness area full of blackberries and his lawn edged with flowers (see a pic I took from the terrace). 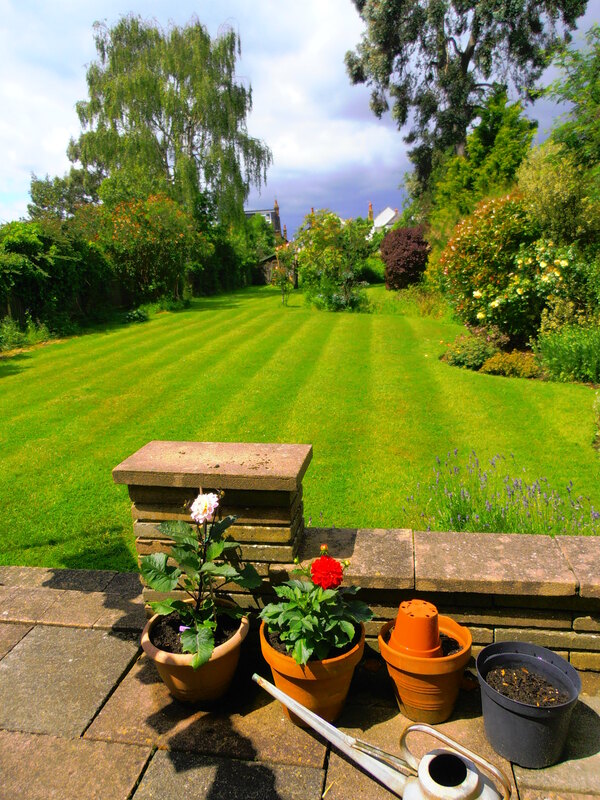 But up where I write, I can see into the neighbour’s gardens and across the south-western part of outer London. In the late evenings (we’re there in June so the evenings are very long), I have a perfect view of the sunsets. I watch clouds of parakeets swinging past my window heading for Hampton Court Palace and its extensive park plus myriads of other birds. And I write. This year I concentrated on writing more than twenty 500 word stories. 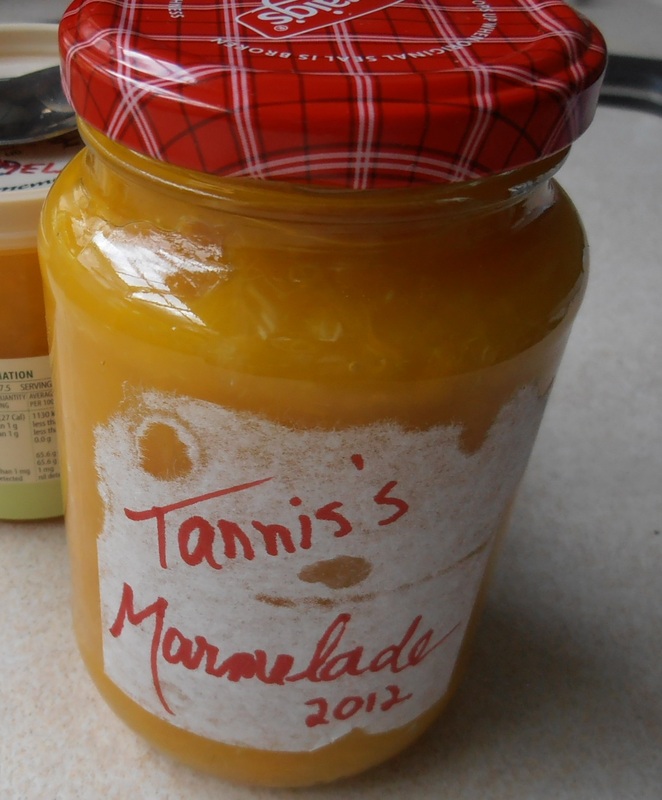 Some of you may have read one or two of mine which are on this blog. My goal when away this year was to take each of the Iron Writer Challenges so far and, using the four unique ‘elements’ which must be included, write up a story which can stand alone. This means the story has to have a beginning, a middle and an end; it has to convey some sort of emotion and the ‘elements’ have to be seamlessly woven into the fabric of the story so it all makes sense. Winning the very first of the Iron Writer Challenges with ‘Hey Diddle Daddley’ (which can be located deep in the archive of this blog) inspired me to write up every one of the challenges for the first half year – a task my fellow author Dani J Caile and I decided to do. Dani launched his humorous book ‘Dani’s Shorts’ recently (https://www.smashwords.com/books/view/351327 ) and the one I wrote is almost ready. Mine will be called My Take on the Iron Writer Challenges, 1 – 26. We are doing this for a purpose, or maybe two purposes. The main purpose is to allow readers to have access to our writing. We intend to offer these books at a very small cost or free, enrolling them in the Amazon Library system that includes five free days. And we’ll let everybody know when those free days take place. Dani’s book is doing well so far. The other purpose? To publicise The Iron Writer (www.theironwriter.com ) where you can go read the current four contestants’ work and vote for the one you like best. Why didn’t I get mine out when Dani did? Two reasons – packing up at the lake in Canada (no small feat), visiting friends on the way and flying back to New Zealand with quite a few jet-lag hours to make up. That’s my first excuse – Dani launched in the midst of all that. And my other and probably more valid excuse is that I wanted to put My Take through the capable hands of my critique group. It’s there now – feedback in a week. Then I’ll have to work on any problems they point out before, finally, launching it. So, a few weeks yet, folks, but I will let you know. It’s lovely to be back in New Zealand as spring slowly takes charge. Taking The Iron Writer elements and incorporating them into a story is a great way to flex one’s writing muscles. Those of you familiar with the Iron Writer Challenge remember there are four elements to be incorporated into a 500 word story and there are only four days in which to do so. Four writers are officially part of the challenge each week, but there’s nothing to stop you (or me) using the site as a writing prompt. I entered the first Challenge (my winning entry is in the post before this one) but I’ve also written several as an exercise using the same restrictions. If you are curious how I handled the elements, read on. I’ll be posting other exercises now and again. To read the official entries, go to www.theironwriter.com and enjoy! The following story is faithful to the instuctions for Challenge 15, incorporating a Theramin (which is an electronic musical instrument ‘played’ by waving one’s hands in the electric field), a single super power, an elegy and a wooden water tower. My Classical Education is 517 words which is within the absolute limit of 525 words. I’ve just performed at St Patrick’s where I go to school. To great acclaim, I must say. They asked me how I came to write the song. I mumbled something but it wasn’t the whole story. I’ll write it here and hide it away. Maybe I’ll give it to my son, if I ever have a son, when he’s fourteen. He’ll understand. When I first saw the YouTube of Leon Theremin playing his instrument I was captivated. The sound was weird, ethereal, yet deliciously whining, simultaneously. Hey, if the electronics underlying a Theremin were simple enough, I figured I could build one. The results, as it turned out, were extraordinary. The electronics kit had arrived on a Friday and by the Saturday, I was already practicing. 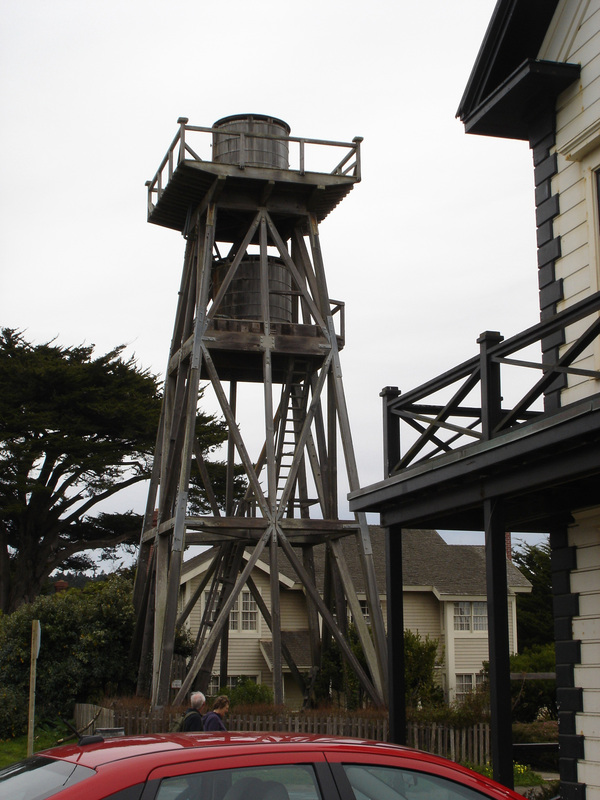 By Sunday, Mum had banished me to the old wooden water tower. 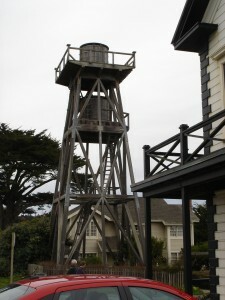 Actually, if I had thought of it myself, I would have set up in the water tower in the first place. From there, you can see forever and the wind blows the sound around like it was produced by the dancing leaves of the tree-tops themselves, an instrument tuned by the gods, maybe by a single super power. Yes, I was making God’s own music. Except words were needed to go with such a celestial sound. Finally, a use for my dog-eared copy of Ovid’s elegies. Okay, I’d better stop. Actually, it’s on the internet for anybody, but who would think that some Roman guy…hmmm. It took me a while, but an elegy has certain syllables, short and long, in a specific sequence. That means it’s easy to set to music, which also has specific sequences, of course. Translations are a bit clunky, so I reverted to the Latin. Besides, then nobody would know what I was singing about. By the time I was ready for an audience, my voice had finished breaking, my Theremin was mastered and I’d memorised the Latin. And nobody but nobody knew what I was singing about…it was all God’s music, as I said. Afterwards, I was congratulated by everybody. I was a pious little musical saint for the day. The trouble came when my teacher asked about the words. I muttered something about Ovid. He patted my shoulder and turned to speak to my mother. Over her shoulder, he met my eyes and winked. He must have known the Latin for ‘bosom’. 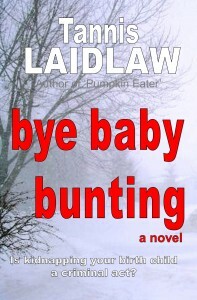 If you really enjoyed this one and want to read more of my writing, check out my books: Bye Baby Bunting (a novel with some nice reviews on Amazon) and Full Stop: eat until you’re full and stop gaining weight (an accessible popular science book about what scientists really say about what’s good for us to eat). To hide, disappear from the strife. ‘He’s ranting and raving at Mum. The thought of it made him go numb. And his mouth became filled with his thumb. For the dad knew her plea was a ploy. Leigh’s branches would hide him from view. Must flee, not leaving a trace. Was empty, held zilch, was a drought. Part 2: Why does eating carbs pile on the weight but eating the more calorific fats doesn’t? We eat to keep our bodies functioning on an even keel. This is part of homeostasis – our cells functioning perfectly so together everything just works like a well-tuned car. Ideally everything ticks over with as few highs and lows as possible. Unlike cows and other herbivores, we don’t want to spend all day, every day, grazing boring old grass. Instead we eat, on average, three times a day, plus the occasional snack. What we eat, of course, is the argument. There are three important points to keep in mind when we make decisions about what to eat. To fulfill the aims of a stable homeostasis so our individual cells never go ‘hungry’, we need to have systems in place to keep things even, and a constant (yes, constant) supply of food circulating to all our cells. For body cells, fuel is fuel. They can utilize fuel that comes from all three food groups: proteins, fats or carbohydrates. Any or all of them. Fuel to the cells comes via the blood stream. They neither care nor can tell where that fuel comes from – from an ice cream cone you’ve recently eaten or a succulent steak or from nutrients stored in fat cells within the body, glycogen stored in the liver or – never to be recommended – protein stolen from the body’s own muscles. If fuel is freely available in the blood stream, we don’t think about eating. (Big corollary here – we can be tempted at any time by sights, smells, even reading about certain foods – temptation is not hunger!) But if fuel is short in the bloodstream, we become genuinely hungry. Most people don’t realize that fat cells are highly active cells and not passive little balloons of fat that just sit there as many imagine. Every time we fast (that means every time more than a few hours go by without taking in new food – the word ‘breakfast’ is just a description of a real phenomenon), we release fuel into the bloodstream from our fat cells and the liver, to keep a steady supply of nutrients available to the body cells. Homeostasis, remember? Keeping things on an even keel. Overnight we essentially live on fats from fat cells. When you start thinking of breaking your fast, insulin begins being released from your pancreas, speeding up as you eat. Insulin works for homeostasis too – making sure the fuel in our bloodstream isn’t overwhelming the cells of the body (too much fuel damages cells; long term it shortens the body’s life, so you can say, too much fuel circulating in your bloodstream kills you.) What tells the pancreas to secrete insulin? The brain, the hypothalamus to be precise, receives feedback from the body or other parts of the brain and triggers all sorts of processes. Insulin puts fat into fat cells. Insulin lets body cells use fats for fuel and that includes muscle cells and all sorts of other cells involved in processes particular to being awake and active. Eventually, the circulating fuel decreases as the body cells consume it and insulin packs it into fat cells, the release of insulin slows and fats stored in liver or fat cells start being released into the blood stream again. Homeostasis. Weight gain and hunger are first cousins and both those processes are triggered by anything that elevates insulin. A muffin. A so-called energy bar. A sugary drink. Chips. Things made from flour or sugar are the most potent triggers. We gain weight due to too much stimulation of insulin or stimulation that lasts longer than nature intended. And we’re driven to eat more often. Eating carbohydrates stimulates hunger through the stimulation of insulin. Eating fats does not because it’s the sugars in the blood that stimulates insulin, not circulating fatty type fuels. Weight loss comes from lower insulin levels. Besides, we don’t feel hungry. We can only use our fat reserves when insulin production quiets down. Remember, insulin builds fat, and fats can only be released to be used for fuel when insulin lessens. The way to lose weight is to make sure you increase the time every day when insulin production is not being stimulated and cut the carbs so insulin is not being stimulated so strongly. But you can eat fats. Lots of them. And you won’t put on weight if your carbs are controlled. A year ago or so, I read Gary Taubes’ Carbohydrate Hypothesis (in The Diet Delusion or Good Calories Bad Calories) and checked out the science he was writing about by accessing the original articles he cited written by top scientists in the area. But instead of shouting from the rooftops, I wrote a popular-science book that explains the science behind eating, a book that could be understood by anyone. FULL STOP – eat until you’re full and stop gaining weight is the book, available as a low-cost e-book or as a paperback, which costs only a little more. You’re a click away from reading it! By the way, insulin levels rise in the autumn and winter. Maybe because human animals need a bit more stored fat on them with cooler weather? The implication of this is that weight loss is somewhat easier in the spring and summer. We have our Resource Consent for building the house at The Bay! Yippee! It finally seems to be coming together. Our own Grand Design is going to happen. At last. It all started almost twenty years ago. One November while eating lunch at the hospital across the road from the Medical School where I was finishing my PhD, I saw an advertisement for a section of land overlooking a deep inlet up in the northern parts of New Zealand in an area appropriately called ‘The Far North’. I rang the vendors and arranged to visit the next weekend, taking my boy-friend (later to become husband) with me. The weekend was hardly propitious – rain off and on and cool for November. We travelled three hours to the section that Saturday. The view was outstanding, a complete 180 degrees of water view. But it was a long, long drop down a cliff to the water, and we’re water babies. Discouraged, we drove to a friend’s bach at Oakura, enjoyed a social evening and went to bed. The next morning, we fixed sandwiches, in spite of the weather being not exactly conducive to picnicking, and re-visited the section to have one last look, just in case we had changed our minds overnight. After all, it was a fabulous opportunity to acquire a waterfront section with amazing views. 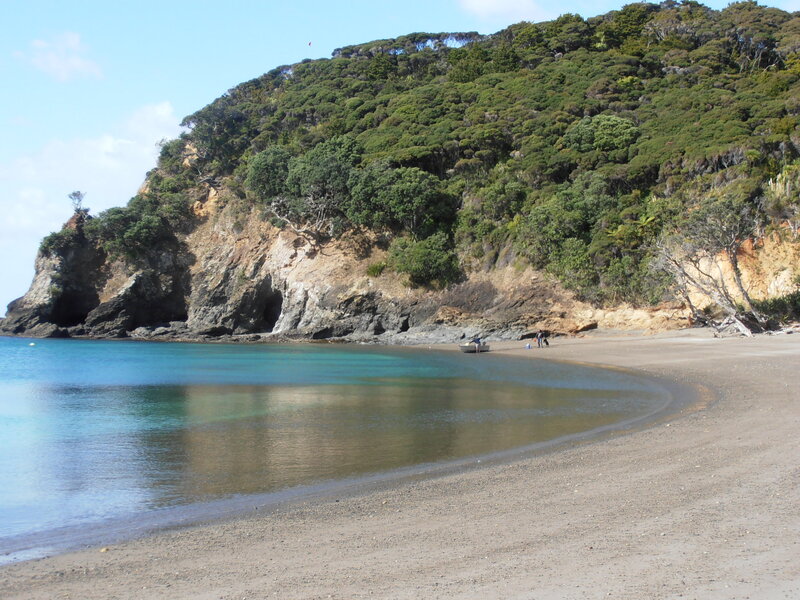 We spent another hour looking and debating the strength of wanting a seaside section, a beautiful view, a beach for swimming – all at an affordable price. Our conclusion? We would have to compromise. We set off north to make a grand circle of driving back to the city well to the south. Hey, why not? Lunchtime came and we stopped at a lovely bay – yes, lovely even in the rain – with black volcanic rocks jutting into the sea on either side of a sheltered sandy beach. Mike spotted a ‘For sale’ sign on the uphill side of the road. We climbed over the fence with our sandwiches to shelter from the misty rain under a gigantic pohutakawa tree, and munch and look. We couldn’t see the road from our perch on the massive tree roots as it was hidden below us but we could see the entire bay and a large tree-covered peninsula to the north. And we could look out at the arrow straight line of the Pacific Ocean’s horizon to the east (next stop, South America). Totally outstanding. ‘Wonder what they’d want for this section?’ I asked. ‘She already owns a place up the road,’ I said. But I agreed. This was millionaire territory. Still, I copied down the telephone number. Curiosity, nothing more. The real estate salesperson told me the price over the telephone, only a small percentage of what we’d figured. I almost dropped the receiver; I just about yelled ‘sold!’ right then and there. It was not only within our budget, it was not even at the top of it! Instead, I coolly – oh-so-coolly – arranged for us to meet the vendor to negotiate. We walked away from that meeting having brought the price down a few thou. Correction – we didn’t walk away from that meeting – we floated away with the sales document clutched in our hot little paws. As I said. Twenty years ago. We’ve been spending weekends at our caravan on the site ever since. Really using it – every fortnight in the summer and probably every three weeks in the winter, plus spending every Easter, Christmas and other assorted holidays there for twenty years. We love it. And now we’re going to build. We’re calming down our working lives and ready to put up a boutique (read ‘small yet uniquely designed’) home that will be tucked into our 2000 m2 (half an acre) hillside, not two minutes from the beach. We have Resource Consent! That means we’ve fulfilled the arduous requirements of ‘Coastal’ regulations plus those of ‘Outstanding Landscape’. Yes, even the Far North Council thinks our place is pretty darn special. We do too. You’ll notice I mentioned that I was pursuing a PhD way back when. My new mystery ‘Half Truths and Whole Lies’ takes place in academia. See the blog below about it. 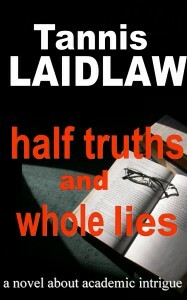 My upcoming novel is called Half Truths and Whole Lies. It should be on Amazon in a month or so, depending upon comments from my beta-readers. This book takes place in academia, an environment with which I’m familiar having worked as an academic researcher off and on all my working life. Over the years I’ve participated in a fair few research projects in universities around the globe like my character Sophie. As you can guess, it was a natural to write about some of the shenanigans in one or other of those institutions and expand them…. Genre is one of those simplistic concepts that seems to be there for marketing purposes. Nuff said. There are elements of this book which fit classifying it as a mystery or a psychological thriller (with a soupçon of romance) or maybe you can just classify it as a ‘contemporary novel’. Certainly its setting in academia would intrigue anybody who’s been around universities or higher education. There are many tales hidden within those hallowed halls. Mmmmm, maybe Merryl Streep as Sophie. Maybe Kenneth Branagh as Jeremy. Noreen? What about Joanna Lumley…or is she too pretty? When American psychology researcher Sophie Rowan is head-hunted to a prestigious English university, she expects both stimulating work and relief from family pressures. Little does she know that she would be entering a world of lies, intrigue and sexual manipulation, hidden behind the façade of respected research publications and academic books. Our consultancy company, ‘Forth Estate Ltd’, has published my last two books (my novel Bye Baby Bunting and my non-fiction book FULL STOP – eat until you’re full and stop gaining weight). 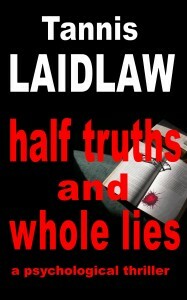 Yes, I’ve decided that Half Truths and Whole Lies will be published by Forth Estate too. I do have a great agent who is handling several more of my unpublished books and he is now in serious negotiations with a major publisher. So, fingers crossed. I’m busy writing the sequel to the book that originally piqued their interest. As you can see, I’m straddling the line between traditional and indie publishing with a foot in each camp. I love the idea of indie publishing but sadly, as a reader, I dislike the lack of quality control. I guess we all have discarded a fair few half-read indie books that have failed to capture our interest or contain serious flaws of one type or another. But we also have read many which are very good reads indeed – and that hope keeps me, as a reader, still buying indie authors in between buying books I’m more sure will be of a high standard from traditional publishers. The first draft took about a year to write but I was working at a full time ‘day job’ at the time. Now that I’m writing full time, a new book-length story is not taking that amount of time, for the first draft, anyway. I had put this one (Half Truths and Whole Lies) aside while writing the other two books (Bye Baby Bunting and FULL STOP) and have just come back to it for drafts two through – what? – maybe 10? Luckily I love the re-writing process. It’s great fun coming back to a book you’re writing – you can fall in love all over again! There’s that concept ‘genre’ again. I love to read Minette Walters, Barbara Vine / Ruth Rendall, Nelson DeMille, Michael Ridpath… I could go on and on… but is this story like any of theirs? Well, I have to admit certain aspects of Noreen’s character came to me fully-fleshed out based on some not-so-attractive personality characteristics of a couple of academics I stumbled across in my academic career. Even though Noreen is not based on a single real person, some of the incidents described in the book did happen. And, as an aside, some actual incidents that happened to me or my colleagues were so far-fetched they could never be included in a fictional tale without readers complaining my imagination had gone ballistic! We experience life in London through Sophie’s eyes, a trip to Oxford and Henley and the Oxfordshire countryside. But we have to hold on tight as life becomes a roller-coaster ride for Sophie. She struggles to survive in the university long enough to unmask the con she’s discovered and stop the exploitation of students that has persisted for too long. Who’s next on the NEXT BIG THING: BLOG HOP? Below you will find authors who will be joining me by blog, next Wednesday, April 24th. Do be sure to bookmark the websites below and add them to your calendars for updates on Works in Progress and New Releases! Happy Writing and Reading! Part 1 – Why does eating carbs pile on the weight and eating the more calorific fats doesn’t? When we eat fats, they are metabolised into free fatty acids, taken to the liver and converted into triglycerides. Fine. When we eat carbs, they are digested into glucose some of which is directly used by muscle cells and other cells of the body and the rest is taken to the liver and converted into triglycerides and some into glycerol. Okay. So eating both carbs and fats should pile on the weight if we’re consuming more than our cells need, right? Well, it isn’t so simple. Given a set number of calories in a so-called ‘balanced diet’ – let’s say bang on the average – (and keeping protein constant), consuming both fats and carbs seems to be a recipe for slowly but inexorably putting on weight. With the same set of calories, consuming relatively more carbs (even ‘good’ carbs) and cutting down on the fats to keep the calories constant, most people will still put on weight, maybe even faster. With the same set of calories, consuming relatively more fats and cutting down on the carbs, most people will stop putting on extra weight and some will take it off. Those are facts and they’ve been demonstrated over and over again. If you cut the fats, you have to diminish the calorie count significantly to take off weight. That’s why such a way of eating is called a ‘semi-starvation’ diet. A period of weight loss is usually followed by a period of weight gain. More than before. Most people lose energy on such a diet and muscle mass as well. So, it’s not particularly effective and it is not easy to follow for many of us, yet still it is the most recommended diet around. If you cut the carbs down, you don’t have to diminish the calorie count. The extra calories can be fats (and in our hypothetic situation, they will be); it doesn’t seem to matter, you will stop gaining weight and maybe start to take some of it off. Maybe it has something to do with glycerol phosphate. And glycerol phosphate is manufactured from carbs. If glucose is burned by the cells, glycerol phosphate is produced. Glycerol Phosphate is used to turn fatty acids into trigycerides (yup, fats) and that’s necessary to put fat into fat cells. Carbs. And maybe it has more to do with insulin. Eating carbs stimulates insulin release from the pancreas. Insulin has a number of activities, but its most prevalent use by the body is to pack triglycerides (fat) into cells. Yes, one of the effects of lowering blood sugar and packing fats into cells is to fatten us up. Eat something heavy in carbs (breakfast cereal, sandwiches, spuds, rice, fruit juices, fizzy drinks etc.) and insulin is secreted. The problem is that a heavy carb intake load ups the blood sugar dangerously. The human body can only function in a narrow band of blood sugar levels or vital organs (especially the brain) can be badly affected. So insulin is needed to cope with this heavy carb loading we have self-inflicted. And it does. It removes blood sugars by shoving triglycerides into fat cells. As the levels of blood sugar decrease, insulin production drops off. Eventually, there is not enough insulin putting fat into fat cells to counteract the fat cells giving out fatty acids for the cells of the body to use as fuel (fat cells are really active cells). And the cells of the body quite like using fats for fuel and there is nothing unphysiological about the process. It happens in you and me all the time. But if your insulin surge was big and fast enough, it drops just as quickly leaving the body depleted of blood sugars and without enough fatty acids being released from the fat cells to compensate. What happens? You get hungry. Somebody called it ‘internal starvation’. One famous study had people on huge amounts of calories every day – up to 10,000 calories – up to five times normal. But these calories were from fats and proteins. Then, for experimental purposes, some of the subjects were asked to eat a meal of carbs in addition to their heavy fat and protein intake. Believe it or not, those people became hungry a few hours after the carb ingestion. Even with all those calories! All due to that surge of insulin which was produced to lower the blood sugar level after eating carbs. Carbs make us put on fat. Physiologically, we don’t need any carbs other than those found in green and yellow veggies. If you’re interested in the scientific background to eating the low-carb way, check out FULL STOP – eat until you’re full and stop gaining weight. A balanced diet. All nutritionists, most doctors and other experts (like my grandmothers and yours) have always advocated eating a balanced diet. Most still do today. Why? So we have the right balance of carbohydrates, proteins and fats giving us the nutrients and vitamins and minerals our bodies need. Yet in the 1930s it had already become an established fact that eating carbohydrates deplete the many and vital B vitamins from our bodies. The flip side of this fact is that eating carbohydrates increases your need for these vitamins to maintain health. Simple. Eat carbohydrates and you need to eat more vitamin B complex. Sadly, many just swallow a daily pill instead of removing the offending carbs. Then there’s vitamin C. Having high levels of blood sugar (and we’re not just talking about the many diabetics and pre-diabetics: latest stats = almost 20% of the population have high blood sugar levels and are classified pre-diabetic) mean the body’s requirement for vitamin C goes up. Diabetics have 30% less vitamin C in their bodies because of the high levels of blood sugar, or so says Gary Taubes in his fact-filled tome ‘The Diet Delusion’. Any non-diabetic who eats a carb-rich breakfast or a bread-dominated lunch will have high blood sugar for a time – high blood sugar means your vitamin C levels will go down. The reason is simple. The vitamin C molecule is somewhat similar in construction to the glucose molecule. Glucose muscles the vitamin C out of the way and is taken up preferentially by the cells. The vitamin C that is not absorbed into the body’s cells is wasted, peed out with the urine. That means you need to eat more vitamin C rich foods to flood your system – but only if you are eating carbs. A famous experiment in 1928 saw two men, both well-known Scandinavian explorers who had lived with meat-eating Inuit tribes, confine their food to that of fatty meat only – about two pounds a day, 2600 calories more or less – for an entire year. I can’t imagine a more unbalanced diet. The men were supervised by scientists from such impressive universities as Harvard, Cornell and Johns Hopkins – and the scientists performed frequent checks of psychological and physical variables including the analysis of the men’s urine to make sure the men weren’t breaking the meat-only diet. But they stayed the course for the year as instructed. Both men took off some weight with their meat and fat-rich diet, as we would expect with no carbohydrates, but, to the surprise of many, they did not develop scurvy. You’ll remember scurvy is caused by too little vitamin C, a deficiency disease that killed sailors and explorers regularly unless sources of vitamin C, like the pickled veggies/sauerkraut used by Cook, or the limes of the British navy, were added to their diet. Doctors also predicted Stefansson and Anderson would develop a severe depletion of magnesium and calcium (vital to many activities within the body) because the acid-rich diet promotes excretion of minerals, but they did not. And those B vitamins: they were not eating the husks of rice or barley, the traditional preventatives of vitamin B1 deficiency (beriberi), just fatty meat. Yet Stefansson and Anderson remained healthy. The amount of vitamins and minerals found within the meats they were eating was perfectly adequate to maintain their health. Their blood pressures were good and they had masses of energy in spite of a rather sedentary life style. Stefansson and Anderson got away with eating such an unbalanced diet because they were eating no carbohydrates. Do I recommend a meat-only diet? Nope. It’s expensive and it lacks variety. So I recommend some carbs? Not particularly, but all veggies include carbs and I recommend a variety of vegetables, a small piece of fruit every day (half a pear, for instance, or a handful of berries) – eaten with something fatty like butter, olive oil or cream, and protein – eggs, meat or fish. What I don’t recommend is anything sugary or made from flour; white or whole grain, it still raises your blood sugar to unacceptable heights. And depletes you of vitamins.